KAMPALA – Now that last year’s Uganda Advanced Certificate of Education (UACE) exams have been released, next on the menu for any secondary school leaver is pursuing that dream course in a higher institution of learning. For those seeking to join public universities, the dilemma lies in meeting the required cutoff points for the different courses. To get the required cutoffs requires following a particular weighting system, which many students are not well conversant with. A computerised weighing system is used and the points depend on the number of applicants per course and the capacity of the faculties available in a given university. Under the weighting criteria which started working three years ago, all subjects pursued at Senior Six are grouped into three categories; essential, which has a weight of 3, relevant, which has 2 and desirable with 1. For a given candidate, not more than three subjects taken at principal level carry a weight of three, two or one. Not more than two principal subjects are designated as essential. According to Mr. Alfred Namoah-Masikye, the academic registrar Makerere University, the essential A-Level subjects must be passed with at least a Principal Pass for a given candidate, adding that not more than three subjects taken at the principal level shall carry a weight of 3, 2, or 1. Mr. Namoah-Masikye adds that for a given candidate, principal level subjects in excess of the three shall be designated as “Others” and shall carry a weight of 0.5. Not more than two subjects shall be designated as “Essential and a pass in a subject taken at a subsidiary level such as General Paper shall carry one point. A subsidiary pass ranges from grades 1 to 6. “In case of programmes where “Essential” subjects may be three or more, an “Essential set” of subjects is defined. The best-performed two subjects of the essential set shall be designated as “Essential Subjects” and weighted three. The 3rd best-done subjects from the Essential Set shall be designated as the “Relevant Subject” and weighted two,” he says. A pass with a distinction or credit in a subject taken at a subsidiary level such as General Paper, Sub-Maths and Computer Studies, carry one point. A subsidiary pass ranges from grades 1 -6. For example, if the cut-off points for Bachelor of Computer Engineering are 50 and a candidate scored AAA in Mathematics, Physics, Technical Drawing, and a distinction in Computer Studies and General Paper. At A-Level, A carries six points, B five, C-four, D-three, E-two, O-one and F-O points. O-Level marks also account for university entry. A distinction (1 & 2) is weighed at 0.3, while credits (3 to 6) are rated at 0.2. Female students are also added 1.5 points bonus. Mr. Namoah-Masikye stresses that candidates are selected on merit from those who apply for a programme as their first choice plus those who apply for the programme as 2nd, 3rd, 4th choice etc. 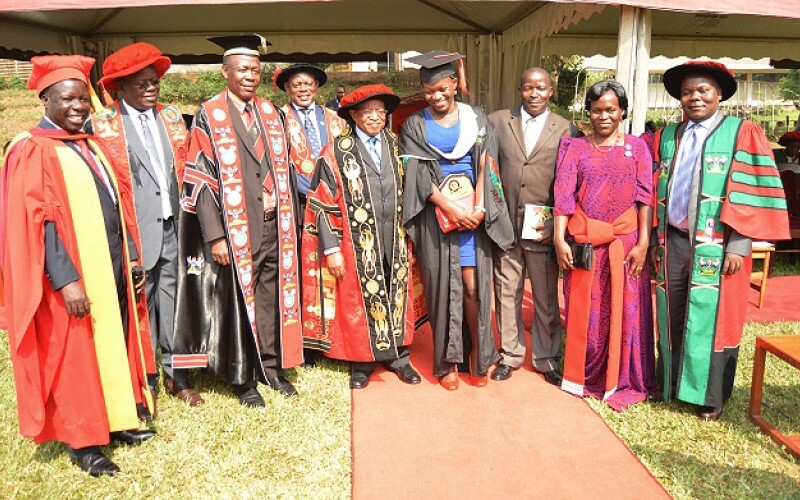 He adds that Makerere University has nine constituent colleges and a school of law whose weighting systems are unique he concluded. 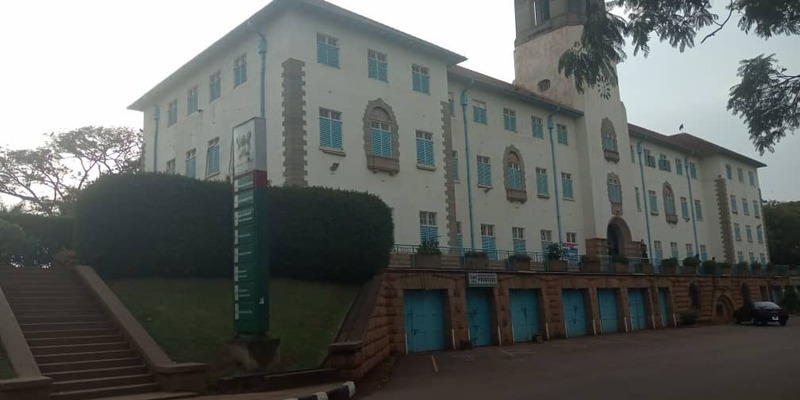 However, he notes that all intake applicants for Bachelor of Laws will be required to sit and pass the pre-entry examinations set by Makerere University. Currently, government sponsors 4,000 students in public universities. Of these, 3,000 are selected on academic merit, with 75 per cent of the places going to those admitted to science courses and 25 per cent reserved for humanities or Arts courses. In addition, 40 slots go to talented sports students, 64 to persons with disabilities, while districts take 896 under the district quota system. Due to the limited vacancies available in the seven public universities, a large number of students who passed will have to try their luck in about 30private universities countrywide. Currently, a total of 2,477 students are benefiting from the University Loan Scheme of which 1,191 were added last year. All admissions usually depend on the students’ ability to meet the entry points set by the respective universities. This implies that the planned number may slightly drop or increase in the respective public universities. The academic year for universities starts in August and since exams were released late last month, parents will have five months to look for placements for children in their preferred universities as well as getting tuition fees unlike in the past where they had only three months.